Although the major holiday shopping days—Black Friday, Cyber Monday and Super Saturday—are now behind us, retail activity is continuing at a healthy pace. Mastercard SpendingPulse reported that holiday sales increased by a healthy 4.9% this year, exceeding most forecasts, and that online holiday sales increased by a whopping 18.1% year over year. Holiday shopping did not come to a halt on Christmas morning, though. 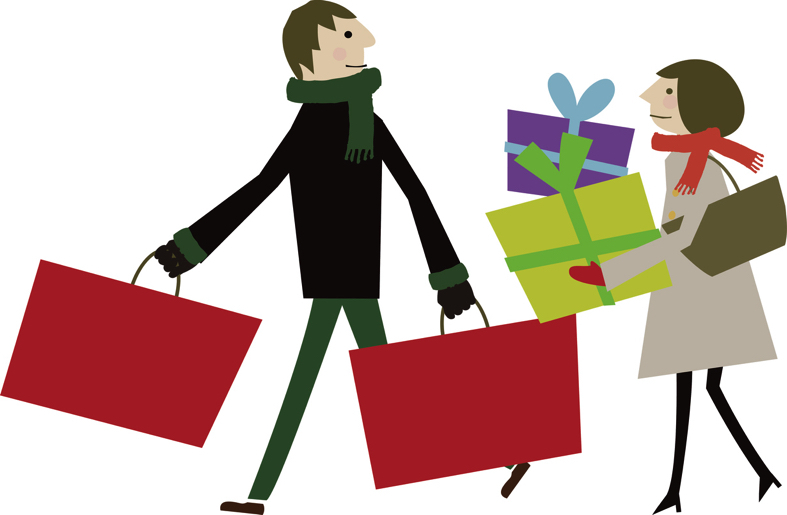 The shopping will continue this week and beyond as consumers return to physical stores to enjoy after-Christmas sales, make returns or exchanges, take advantage of special shopping holidays, and redeem gift cards. Many retailers are offering incentives to keep sales flowing, close out holiday merchandise and capitalize on consumers’ return visits to stores. Most major retailers—including Kohl’s, Macy’s, Nordstrom, Old Navy, Target, Walmart and Williams-Sonoma—are running sales now, with discounts ranging from 20%–70%. Amazon is offering year-end deals on its own consumer electronics devices as well as on toys and games, electronics, health and personal care, tools and home improvement, and many other items. Returns represent an enormous cost (and opportunity) for retailers. Consumers are expected to return $90 billion worth of goods this holiday season, according to reverse logistics company Optoro, and that figure has been growing steadily as e-commerce’s share of sales has increased. The company further estimates that holiday returns account for nearly a quarter of all returns throughout a given year. Returns represent multiple costs for retailers, since less than half of returned goods can be sold again at full price. Optoro, which helps retailers get returned goods to their best markets, estimates that many retailers receive only 15–30 cents on the dollar for returned merchandise. Yet returns also offer additional opportunities for retailers: when consumers visit physical stores to return or exchange items, retailers have the potential to upsell them or sell them additional, unplanned items. Experts say that US in-store conversion rates range from 15% to 30%, so retailers could generate additional sales in the billions by catering to shoppers who visit stores to make returns. Amazon, still basking in the afterglow of its successful Prime Day this July, is offering yet another self-created shopping holiday, called Digital Day, for the second year running. Digital Day takes place on December 29, and Amazon will offer discounts of up to 80% on apps, games, e-books, movies and more that day. The company plans to offer 40% more deals than last year. Following analysts’ comments that Amazon Prime membership has likely peaked, the company announced that 4 million people had recently trialed its Prime service and that it had been a record holiday for Amazon devices. Both new subscribers and devices fuel the virtuous circle that drives demand for additional content and further locks in consumers to Amazon’s platform. Gift card redemptions also draw consumers into physical stores, presenting retailers with additional revenue opportunities. Gift cards are expected to hit $160 billion in total volume next year, according to Gift Card Granny, an online discount gift card and comparison site. The company further estimates that 65% of consumers spend an additional 38% beyond the value of each card they redeem. Digital gift cards are increasing in popularity, and are estimated to hit $15 billion this year. Early results suggest that retailers saw a robust holiday shopping season that breathed some much-needed life into a year beset by negative headlines regarding bankruptcies, store closures and soft same-store sales. The good news is that the year is not yet over. There have been plenty of additional bargains to be had this week, and post-Christmas sales will continue. In addition, consumers have just started redeeming their holiday gift cards. The FGRT team will continue to follow the final results from this year’s holiday shopping season, and we have already started to formulate our views of 2018, which we will present shortly. In January, we will offer on-the-ground coverage of the annual CES event in Las Vegas, followed closely by the NRF 2018 Retail’s Big Show in New York, in addition to other news and events. We wish you prosperity and success in 2018!